Going through my record collection. Who remembers THE INFECTIONS? Probably the most popular Grand Rapids Punk Bank of the very late 70s/early 80s! Ken Darby (voc), Rocky Slaski (Gtr), aaron Catlin (bass), Steve Aldrich (drums). Played all over. I remember them at Festival of the Arts (pretty sure it was 79, maybe 80). Bullwinkles, lots of West Side Halls. Original Drummer Bobby D. Beat (Bob Davis) had left by the time this single came out. 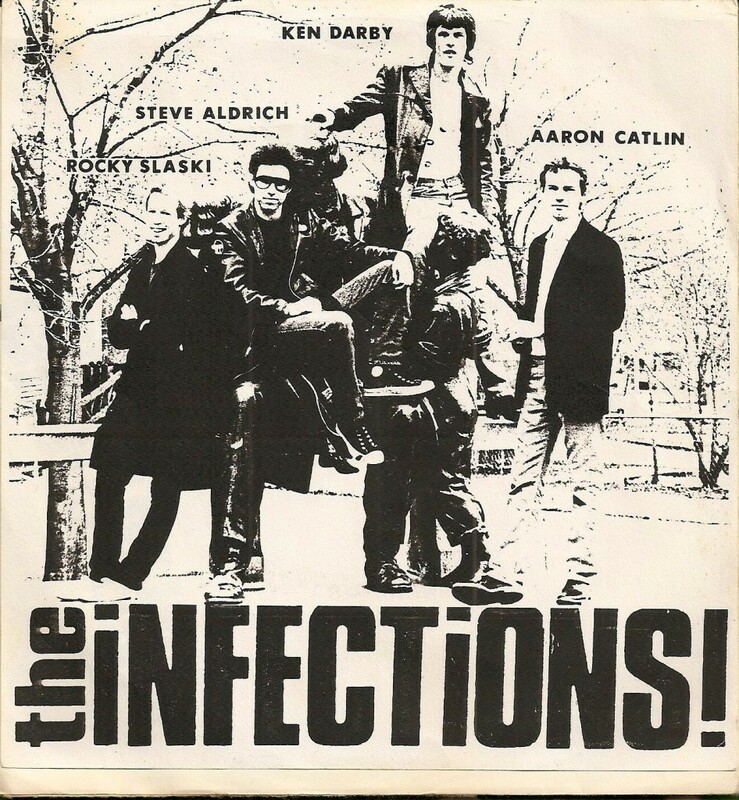 Who remembers THE INFECTIONS? Probably the most popular Grand Rapids Punk Bank of the very late 70s/early 80s! Ken Darby (voc), Rocky Slaski (Gtr), aaron Catlin (bass), Steve Aldrich (drums). Played all over. I remember them at Festival of the Arts (pretty sure it was 79, maybe 80). Bullwinkles, lots of West Side Halls.